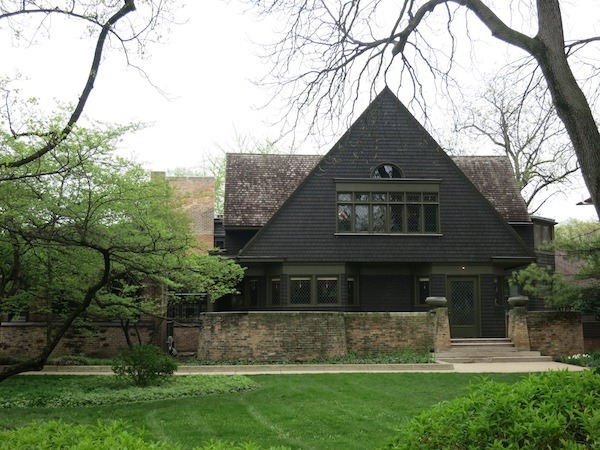 Just a short drive or train ride away from downtown Chicago, Oak Park Illinois is a quaint town that was once home to Ernest Hemingway and Frank Lloyd Wright and still pays homage to each of their work. There are so many choices it’s wonderful! Just in the few blocks on Lake Street you can choose from Mediterranean, Italian, Indian, Greek, Venezuelan, Chinese and more. Here are some of our favorites: Jerusalem Cafe for terrific chicken or beef shawarma, kabobs, and falafel. Marion Street Cheese Market for great sandwiches and salads, and you just have to stroll through market or perhaps pick a few items for a picnic. Poor Phil’s at 139 South Marion Street for a tasty burger with crisp tater tots and a beer. Try the Da’Bomb burger with cheddar, bacon, mushrooms, lettuce, tomato and grilled onions. If you haven’t had the chance to eat the obligatory Chicago pizza, there’s a Lou Malnati’s on Lake Street where you can get their famous deep dish pizza or tasty thin crust. To get the true Chicago experience make sure you get the butter crust. All this walking and relaxing makes me want ice cream. Two blocks from FLW’s home is Petersen’s Old Fashioned Ice Cream. While you’re deciding what flavor you want check out the old photos of their humble beginnings. This fabulous ice cream shop was started in 1919 by Hans Petersen, who brought his 18% butterfat ice cream recipe from Denmark. They’ve been serving it up ever since. Hemmingway’s Bistro at 211 North Oak Park Avenue across from the Hemingway Museum is open breakfast, lunch and dinner. We love to drop in for the herb-crusted whitefish or mussels and pâté for dinner. They have all the French bistro classics like Coq au Vin, Bouillabaisse and Beef Wellington. It’s a small bistro with a nice wine list. It’s so comfortable you’ll find yourself not wanting to leave and daydreaming of Hemingway ordering another round. They also offer a nice live jazz brunch on Sundays and daily specials. Another great spot is Barclay’s American Grill located in the The Carleton of Oak Park Hotel. It’s another spot for terrific food in a relaxed and friendly atmosphere. I’m a huge fan of their burgers and shaved prime rib sandwich. They also have some delicious sides, like truffled mac & cheese, caramelized Brussels sprouts with onions & bacon, and “loaded” tots with cheese, bacon & sour cream. They have a wide menu to choose from that includes many delicious options and a full bar. They have different drink & food specials every night as well. Maya del Sol offers Latin fusion cuisine 144 South Oak Park Avenue. This place is always full and always rocking. Live music makes the place a little loud but it’s a fun and festive vibe. They also have a large outdoor patio to enjoy in the warm months that is perfect for cocktails and appetizers too. You’ll find lots of Latin flavors including ceviches, ropa vieja, carne asada, portobello tostadas and fish tacos as well as non-Latin tastes such as Wagyu cheeseburgers and sweet potato fries!